We just got a new barbecue and I have been getting very creative, including grilling foods you wouldn’t usually think to barbecue. Here are some quick, easy and healthy meals I whipped up. They are tasty fast and healthy! Cut and remove pits of peaches. Grill each side for two minutes. 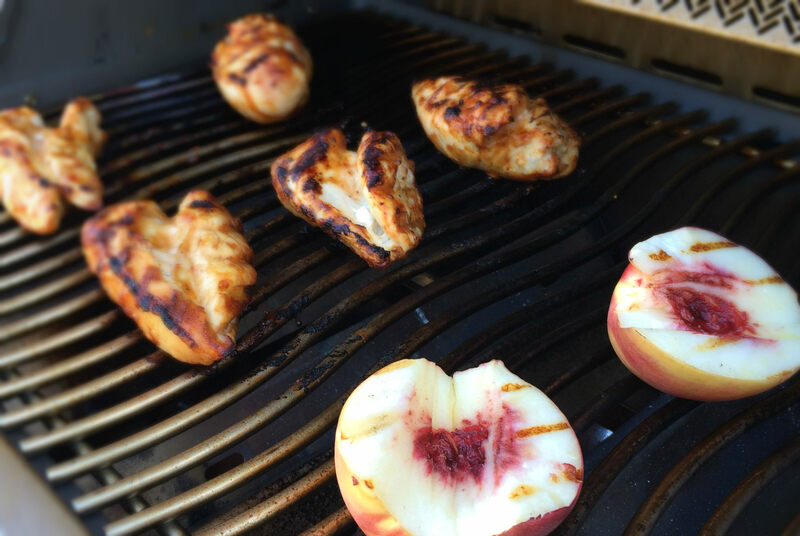 Grill both chicken breasts. Toast sliced almond in a pan. 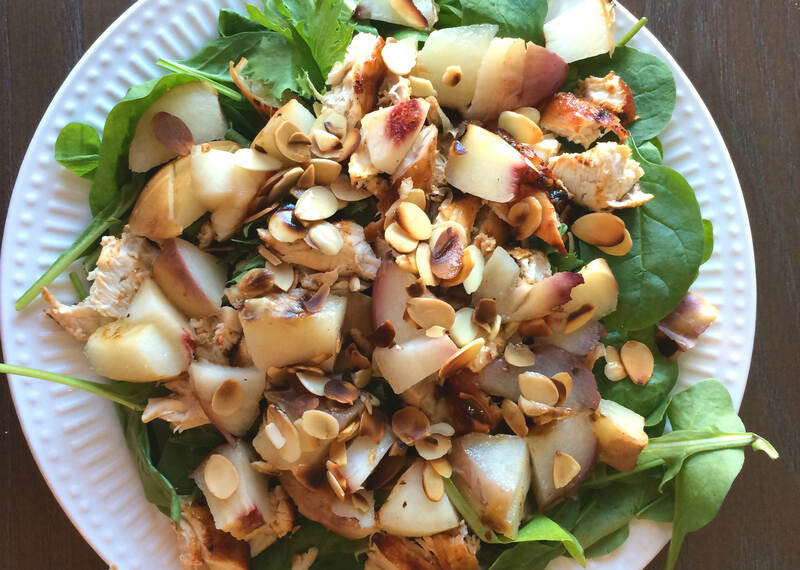 Chop grilled chicken and peaches to a bed of spinach. Top with toasted almonds and a squeeze of fresh lemon for flavour. Healthy, tasty, filling and fast! 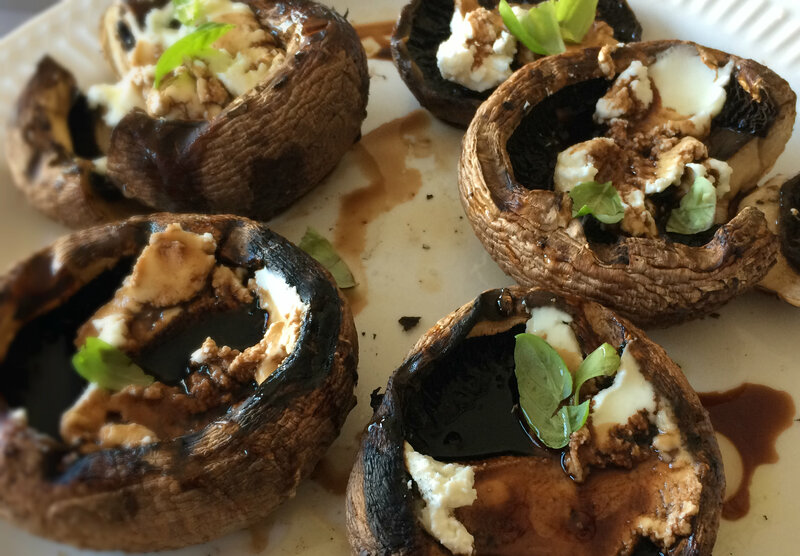 Grilled Portabello Mushrooms Toped With Goat Cheese – this recipe is a little more indulgent. It would be a great starter to a meal! Grill the portobello mushrooms for approximately four minutes on each side. Top with goat cheese and fresh basil. Drizzle balsamic vinegar and honey on top.